The British Red Cross will hold its biennial Summer School on International Humanitarian Law at Magdalene College, Cambridge, from 15 – 18 July. The course is intended to provide a general understanding of IHL and will cover the principles and rules and their practical application. Topics will include the history and development of IHL, basic principles and protected groups, prisoners of war and detainees, conduct of hostilities, human rights and IHL, non-international armed conflicts, implementation and enforcement, IHL in Africa, and the work of the International Committee of the Red Cross (ICRC). Presenters are likely to include experts from the armed forces, prominent academics and a representative of the ICRC. The course will comprise presentations, case studies and group discussions. Individuals with an interest in international humanitarian law are warmly invited to attend. Past participants have included armed forces personnel, government officials, university lecturers and students, staff of non-governmental organisations (NGOs), journalists, and National Red Cross and Red Crescent Society volunteers and staff from outside the UK. The course is offered on a residential basis (with accommodation and meals at the college included), at a cost of £300. The deadline for submission of applications is Monday 30 April 2012. ● Truth, Justice and Rule of Law Reform. The course will be concluded with a round table discussion on the Arab Spring and Transitional Justice Mechanisms. As part of its ongoing partnership with European and North American Red Cross Societies, the International Committee of the Red Cross (ICRC) organizes, jointly with the Belgian, French, Polish, and Swiss Red Cross Societies, two intensive courses in international humanitarian law (IHL) every year. These courses are open to post-graduate students with a background in public international law, legal practitioners dealing with the consequences of armed conflict, and humanitarian professionals with a demonstrated interest in acquiring knowledge of IHL. The two courses (English and French sessions are held separately) are part of a global strategy adopted by the ICRC and the International Red Cross and Red Crescent Movement as a whole to promote the principles and rules of IHL. Consisting of lectures, group discussions and practical exercises, the courses expose participants to complex issues and challenges related to IHL and humanitarian action in contemporary armed conflicts. Since the first sessions of the courses were held in English (1981) and in French (1988), hundreds of participants have gain practical knowledge of IHL, many of whom remain active in the humanitarian sphere. The courses provide a unique opportunity to interact with IHL scholars and practitioners from a wide range of backgrounds. Past sessions have featured renowned academics, military experts, senior professionals from international organizations and tribunals, the ICRC and National Red Cross Societies. Selected participants are requested to follow the ICRC's Introductory Online Course in IHL prior to their arrival for the on-site course. The Online Course ensures that participants have a common baseline knowledge of the subject and provides a forum allowing participants to get acquainted with one another. Experience has shown that following the Online Course enables participants to benefit more from the lectures and improves the overall learning environment. The on-site courses consist of a series of lectures on IHL, discussions on issues arising in relation to armed conflicts today, and exercises designed to bridge the gap between theory and practice in the field of IHL. A case-study based on a hypothetical but realistic conflict that unfolds during the course is distributed to participants prior to their arrival. On the basis of the case-study, specific IHL-related issues and problems are analysed and solved by participants working in small groups under the guidance of expert facilitators. Theoretical knowledge gained from lectures is thus put into practice and linked to the realities of contemporary armed conflicts. The price of the course, including materials, accommodation and meals, is 600 euros. Transportation is not included. Participants are responsible for making their own travel arrangements to and from Warsaw, Poland. 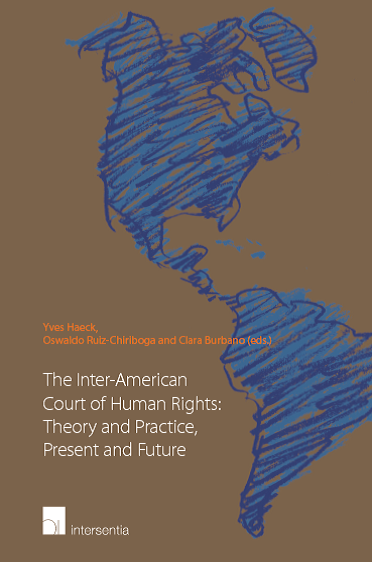 The course (in English) focuses on human rights in theory and practice. Students will develop knowledge about human rights from both legal and social perspectives. 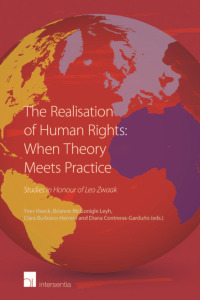 Challenges for implementing human rights in different parts of the world will also be highlighted and examined. Principles of human rights relating to terrorism, religion, ethnicity, indigenous peoples, transitional justice, gender and development are studied. To provide students with a foundation for an understanding of institutions and mechanisms for the protection and promotion of human rights as well as recognising the shortcomings of the processes involved. If you would like to take this course, you must apply directly to the International Summer School . Only students admitted to the course may take part in instruction. The examination in this course is not available for external candidates. Only students admitted to the course may sit for the examination. A completed Bachelor’s degree or a period of study comparable with a Norwegian Bachelor's degree from a recognised institution. Scholarship-seeking applicants with a related degree in law, social sciences and/or humanities are given priority. Documented professional experience may also qualify scholarship-seeking applicants even though their academic background does not match the course profile. The course consists of 26 lectures, 3 hours daily (9:15-12:00), Monday to Friday, for six weeks. Classroom sessions include lectures and group discussions. A class excursion is included. A detailed syllabus will be available prior to the start of the course. Daily attendance is expected of all participants. Students must attend 75% of the lectures in order to take the final exam. The course includes a final written exam and a take-home examination. Students must attend 75% of the lectures in order to take the final exam. The written exam lasts for 4 hours and counts for 40% of the total grade. The take-home examination counts for 60% of the total grade. Interns tend to be students approaching the end of their programme or graduates between 19 and 32 years of age (average age is 26). Interesting to know is that the IOM grants interns a Monthly Subsistence Allowance (MSA) as partial contribution to accommodation and living expenses. Interns are given assignments and responsibility commensurate with their experience and they are referred to a supervisor/tutor, who is responsible for mentoring and coaching. They can be given short assignments either designed within on-going programmes or on an ad-hoc basis. Interns are not considered to be staff members but Terms of Reference, tasks, duration of assignment and supervisors are clearly determined. During their assignment, interns attend monthly briefings on the different services of the Organization and visit other Geneva-based International Organizations. Since 2002, we have welcomed many interns coming from the following countries: Argentina, Australia, Belgium, Bulgaria, Cameroon, Canada, China, Colombia, Côte d'Ivoire, France, Germany, Hungary, Italy, Mexico, Nigeria, Peru, Portugal, Romania, Senegal, Sierra Leone, Spain, Switzerland, Philippines, Thailand, United States of America, Uzbekistan and Venezuela. Interns recruited in 2005 were post-graduate students in International Relations, Political Science, Law, Information Technology, International Public Administration, Human Resources and Communications. In recent years, interest in International Humanitarian Law has continued to increase, and a variety of professionals and students have shown their readiness to devote more time to the study of this branch of law. In response to this demand, the Institute conducts a popular annual Summer Course (in English) on International Humanitarian Law. The course takes place over a period of 2 weeks, it will be held one week in Sanremo, Italy and one week in Geneva, Swizerland. Experts from around the world come to the Institute to share their knowledge with highly motivated students through lectures and lively workshops during the 10 days of the course in Sanremo and Geneva. In Geneva, meetings with top-ranking officials and experts are organised at the International Committee of the Red Cross (ICRC) and the United Nations Office in Geneva. The closing ceremony of the course takes place in Geneva, where all the participants are awarded a certificate of participation. The possibility for those who are interested in prolonging their stay, either in Sanremo or Geneva, to study a specific subject previously agreed upon can be explored and arranged under certain conditions. This training will provide human rights advocates, staff of NGOs and national human rights institutions, representatives of governments, and staff of UN bodies and other international organizations, as well as members of the academia, with a broad understanding of economic, social and cultural rights (ESC rights), and in-depth knowledge on how to promote ESC rights in their work. At the end of the training, participants will be: (a) Familiar with the content of ESC rights, in particular specific rights such as the right to food, right to housing, right to education, right to water, right to health; (b) Familiar with the UN mechanisms mandated to protect and promote ESC rights and the domestic mechanisms for implementing ESC rights; (c) Familiar with the role of civil society, national human rights institutions, and non-state actors in relation to ESC rights; (d) Able to identify and effectively describe violations and problems in progressive realization of ESC rights; incorporate this in their advocacy plans; and devise strategies for making use of UN ESC rights mechanisms. - Discussions with experts, including UN Treaty Body members; visit to a session of the Committee on Economic, Social and Cultural Rights. A dynamic combination of lectures and hands-on practical work on country situations, facilitated by experts experienced in ESC rights work at both UN and grassroots levels. This training aims to suit the needs of staff of human rights organisations, in particular NGOs, as well as of UN agencies and diplomats who want to include economic, social and cultural rights issues in their work. The professional groups targeted are: advocacy/human rights/legal officers, managers, and researchers. There will be approximately 25 participants. The training is held in parallel with the November session of the Committee on Economic, Social, and Cultural Rights in Geneva which will allow course participants to observe the Committee in session, to the extent time permits. The international training programme Human Rights for Development (HR4DEV) maps the potential and limits of human rights in development and development cooperation, with a specific focus on children’s rights. Module 1: Human Rights and Development (general) (week 1 and 2). Module 2: Children's Rights in a Globalized World: Critical Approaches (thematic) (week 3 and 4). The training programme aims at promoting knowledge, insight and skills in the field of human rights (including children’s rights) and at developing young leaders in policy, practice and academia, to enable them to pass on this knowledge and skills to their own society (according to the train-the-trainers model), on the one hand, and to stimulate critical and strategic reflection on the integration of human rights (including children's rights) in their professional activities, on the other. HR4DEV is not exclusively organised for participants from the South. We explicitly choose to expose participants from North and South to the views of participants from other continents. Information, knowledge and means that are relevant in both North and South are shared. Since 1992, the Summer Course on International Protection of Human Rights has been organized by the Poznań Human Rights Centre, which was joined by the Adam Mickiewicz University in 2006. The main purpose of the Course is to educate young people in human rights at the academic level and help them to develop skills to act in the human rights field. Since 2007, the Course has undergone a process of specialization. It is now combining two substantive streams: (a) General Course on Human Rights – students have the opportunity to acquire profound and systematic knowledge of various aspects of the United Nations and European systems of the human rights protection; (b) Minority Protection Course – the curriculum embraces lectures on the United Nations and European legal instruments, mechanisms and procedures serving the protection of national and ethnic minorities. The Course is dedicated to young activists in the field of human rights, NGO workers and volunteers, lawyers, researchers and advanced students from all over the world. A law degree is not required, however all candidates must prove deep interest in human rights issues. Among all applications the group of 25-30 participants is selected. The Course aims to educate them as important actors of the civil society, engaged in the promotion and protection of human rights in their countries (via education, NGO activity, legal actions, etc. ), as well as to give the participants an opportunity to exchange views and ideas with peers from their own and other regions. Programme: The Course consists of approx. 60 hours of lectures and case-studies held in English. It has an academic profile but also aims to develop some practical skills. The curriculum focuses on systems of human rights protection (UN, Council of Europe, EU, OSCE) and selected challenges to human rights, such as protection of refugees. Special importance is attached to the protection of minorities, a problem of growing importance in both Europe and worldwide. Participants will inter alia examine cases of conflict resolution concerning national minorities and gain practical skills in this field. The Europa-Universität Viadrina Frankfurt (Oder), Germany conducts the 14th Summer Course “The European System of Human Rights Protection" 09-22 September 2012 Europa-Universität Viadrina Frankfurt (Oder), Faculty of Law. The Summer Course, held in English, which is one of the cheapest courses in Europe, will deal in detail specifically and exclusively with the European System for the protection of human rights. Although there are numerous summer courses and other special study programs within Europe on human rights protection, this course concentrates on an integrated treatment of the various European systems and of specifically European issues of human rights protection, that is, with important matters relevant to over forty European countries with diverse political, economic and social systems. 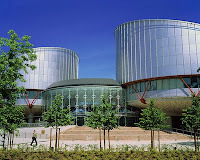 The subject matter, therefore, includes human rights protection under the regimes of the Council of Europe (the European Convention on Human Rights and the European Social Charter), the European Community, the Organisation for Security and Co-operation in Europe (Helsinki Accords), as well as that on the universal level of public international law to the extent it is relevant. The treatment of the substantive regimes and their specific rights catalogues will be set against the background of a consideration of the philosophical, historical, political, economic and sociological aspects of human rights, and include practical institutional matters such as complaint procedures as well as developments such as in the area of ‘New Rights’. Practical and contemporary issues, such as the protection of human rights in situations of war or civil disorder will also be addressed. This comprehensive course has been organised by and will be presented by a dedicated group of experienced experts and teachers from universities in eleven European countries, co-ordinated by the Viadrina European University Frankfurt (Oder) (Germany). The other participants are the Universities of Lund (Sweden), Sevilla (Spain), Rotterdam, Utrecht (The Netherlands), Aberystwyth, Hull (United Kingdom), Rennes I (France), Maribor (Slovenia), Malta, Vienna and Salzburg (Austria). This seminar in English and French with simultaneous translation aims to prepare the parties of a potential case before the Strasbourg Court on the practical aspects of its procedure. Admissibility criteria - What national remedies must be sought before submitting an application to the ECtHR - Practical advice on representing an applicant - Different steps of the procedure - Communication with the Registry - Role of the government agent - Changes brought by the 14th additional protocol.